Cancer Caused by Oxygen Starvation? In 1931, Dr. Warburg won a Noble Prize for proving that cancer is caused by a lack of oxygen into the cells. Since then, many similar studies have been done which agree totally with this discovery. The simple answer is to supply the cells with oxygen to handle the starvation which is the real cause. Basically, the enzymes in the cell dies and can no longer produce energy with oxygen since it can no longer receive it. There are a few reasons why oxygen stops getting absorbed into the cells which include a lack of proper nutrients, toxins, lack of omega-3 and even poor quality air. The mitochondria in the cells are what produces energy. But when they are unable to receive oxygen into the cells, they rely on sugar fermentation. That eventually turns the cells cancerous; then these cancerous cells produce lactic acid which infects the surrounding cells with toxins and destroy them as well. This is the basis behind the spread of cancer in the body. Cells which are receiving 35 percent less oxygen will become cancerous and start creating energy using damaging sugar fermentation. These cancerous cells stop doing anything for the body or communicating to any other part of it; they just multiply. The use of radiation and chemotherapy works because cancer cells are weaker and they die before the healthy cells die. The cancer is cured but only temporarily since the healthy cells have been damaged by the toxins in the treatment. They, too, are not able to use oxygen and the cancer often returns – unless there is an intervening handling to increase the amount of oxygen into the cells plus other related solutions. One popular cure for cancer by increasing the oxygen into the cells has been the use of food-grade hydrogen peroxide which is 35 percent potent rather than 3 percent in household peroxide. This has had some small success but it burns holes in the stomach and creates free radicals. Also, the problem is the oxygen gets into the blood but not into the cells where it’s actually needed. There’s something else called aerobic oxygen salts which are better but still not effective in getting enough oxygen into the cells. A product called Oxy-e is extremely effective in getting oxygen into the cells. It’s also a free radical scavenger while most other oxygen supplements create more free radical damage. Another product called OxyDHQ also reduces free radicals, makes blood cells more flexible and improves circulation. There are other powerful products such as Oxy Life Force Elixer and Ronuv, that when used together with OxyDHQ create an even more powerful effect, including increasing the life force in the cells and improving overall health. All these are very effective in handing the real cause of cancer and its oxygen starvation. Coenzyme Q10 is extremely important in helping to overcome cancer. It helps get oxygen into the cells as well as tell the body to repair the mitochondria. It’s very effective in inhibiting cell growth in breasts. Also, less and less is produced in the body with age, especially after 35. There are many different grades of this supplement. Some are very cheaply made and useless. The one called Ubiquinol is much better than ordinary Q10 because it’s more readily available. But the best one and many times more powerful is called Ge-ProCoQ10 Max. This one creates much more solubility and absorb-ability into the cells. Q10 is a must for cancer patients, being a tremendous boost in oxygen absorption. The mitochondria is the energy factory of each cell. It produces energy using oxygen in what is known as the Krebs cycle. Co Enzyme Q10 is responsible for transporting oxygen from one of the steps in the Krebs cycle to the next step. If your cell lacks CoQ10, the Krebs cycle breaks down as the oxygen molecule can’t be transferred from one step to another step, and the cell can only produce energy anaerobically. There’s another very important element to consider in improving the flow of oxygen into the cells and that is omega 3 and 6 oils but some are not nearly as good as others. For example, the Budwig diet has been used for years to beat cancer; it consists of flax oil and cottage cheese. However, the results are not as good as they should be. The problem is the oil is adulterated rather than from something called parent derivative oils, the term created by Professor Brian Peskin. What he discovered is the omega oils are so contaminated by the soil and food produced that they have the opposite effect and actually cause oxygen starvation and cancer. Instead, the best omega-3 and 6 are plant-based; the formula is made up of such things as blackberry seeds, raspberry seeds, chia, evening primrose, just to name a few. Through his experiments he discovered the omega-3 and omega-6 ratio is actually 1 – 2.5, which has resulted in much better results in cancer prevention and cancer patients, especially when used in the Budwig diet. Another successful cancer cure is ozone therapy. This is done by taking a pint of blood from the patient and injecting it with ozone (or hydrogen peroxide) and then injecting it back into the patient which increases the oxygen the cells. Treatments are done from twice a week to twice a day. It can also be done without the blood; instead the ozone is injected after a fluid is saturated with it. Ozone therapy also works to rid the body of candida, all kinds of fungi and athletes foot. Oxygen starvation could very well be the cause for cancer; there’s been very little dispute about it and these solutions have worked for many. 9 Responses to "Cancer Caused by Oxygen Starvation?" We’re a bunch of volunteers and opening a new scheme in our community. Your website provided us with valuable info to paintings on. You have done a formidable process and our entire community will probably be grateful to you. The reason both chemotherapy and radiation therapy have such low success rates is that they both rely on the formation of oxygen radicals to kill cancer cells. Malignant tumors though have areas with normal oxygen supplies and some hypoxic regions due to the erratic vascular makeup of the tumor. These therapies can kill cancer cells in the well oxygenated regions, but do not work in the hypoxic regions due to the lack of oxygen radical formation. Ozone therapy is not limited by the erratic vascular makeup since it is a radical form of oxygen itself and it can penetrate areas of the body without the need for a proper vascular system. For instance, when administered by ear insufflation the ozone crosses the tympanic membrane and enters in to the brain without being injected in to the bloodstream. With malignant tumors the ozone will kill cancer cells on contact through the formation of peroxides that kill cancer cells, but not health cells. This is because cancer cells lack sufficient antioxidant enzymes to break down peroxides unlike healthy cells. Ozone also fights cancer through other means as well such as destroying many carcinogens, increasing immune cytokines, increasing white blood cell activity and by destroying cancer pathogens. In the case of benign tumors ozone is not as fast in destroying the tumor since benign tumors can be peroxide resistant. Although, as with the vast majority of malignant tumors, the vast majority of benign tumors have also been linked to viral infections. And ozone has been shown to be very effective in destroying viruses. For brain tumors ozone can be administered through ear insufflation. There are several ways to do this. Some people take the head off a stethoscope and hook this end up to the output of an ozone generator so they just put the stethoscope ear pieces in their ears where the ozone can blow in. Or the person can lay on their side and put the ozone tube near the opening of the ear to allow it to blow in to the ear. The person lays on their side since ozone weighs more than air so the ozone sinks in to the ear canal. For people doing ear insufflation I recommend doing this 20 minutes 3 times daily. First of all Warburg DID NOT win the Nobel Prize for discovering cancer was from a lack of oxygen. Warburg won the Nobel Prize for the discovery of a respiratory enzyme he called “iron oxidase”. Secondly, cancer cannot survive in the absence of oxygen. 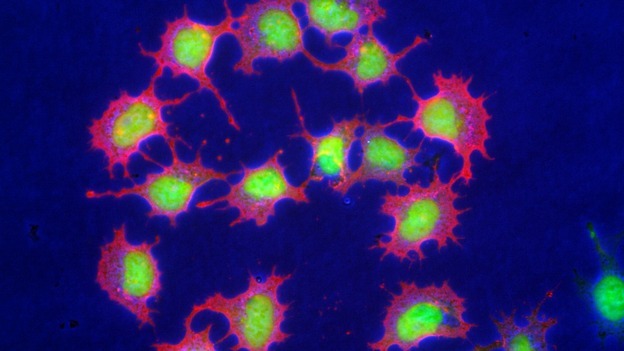 Just like all cells, cancer cells die due to a lack of oxygen. This has been demonstrated during the development of tumors. During initial growth the tumor receives oxygen through diffusion. Once the tumor reaches a size about 3mm oxygen can no longer diffuse in to the center of the tumor and the interior of the tumor dies. This stimulates the process of angiogenesis, in which the tumor stimulates the formation of blood vessels increasing its oxygen supply so it can survive and proliferate. Warburg has to be the most misquoted person in history. What Warburg actually claimed that got twisted in to the lack of oxygen causes cancer myth is that cancer cells will continue to ferment regardless of how much oxygen is present. This became known as the “Warburg effect”. Modern research though has shown that cancer cells are highly dependent on oxygen deriving at least 50% of their energy through oxidative phosphorylation, which requires oxygen. Cancer cells have also been shown to have a much higher affinity for oxygen that normal cells. Another common myth is that cancer cells produce lactic acid. No human cells, healthy or cancerous, produce lactic acid. Lactic acid is only formed by the beneficial bacteria that inhabit our bodies. The body produces non-acidic lactate, which actually reduces acidity during its production. The acidity in the extracellular matrix is from the hydrogen ions formed during energy formation in all cells. Cancer cells cannot tolerate the acidity though and therefore export these acidic ions in to the extracellular matrix to maintain the high internal alkaline pH the cancer cells need to survive and thrive. The external acidity around cancer cells though does activate the enzyme hyaluronidase, which helps the cancer cells to spread. Studies have shown though that it is a high alkalinity within cells that cause healthy cells to revert from a normal to a cancerous state. If the lack of oxygen myth were true then the lack of oxygen would increase internal acidity thus preventing cells from becoming cancerous. I’ve been reading a lot of positive stuff about dichloroacetate. It looks like any negative comments I could find were from years ago when people were abusing it. I’m still checking the validity of the testimonials, there’s a lot of fantastic feedback. Have you heard about dichloroacetate for cancer treatment? The way it works is just what Warburg mentions. Google ‘dichloroacetate’ and you will see there is a lot of positive information about this compound.